Our Silver Frame Filter has a single piece, roll-formed steel frame with a durable and attractive finish. 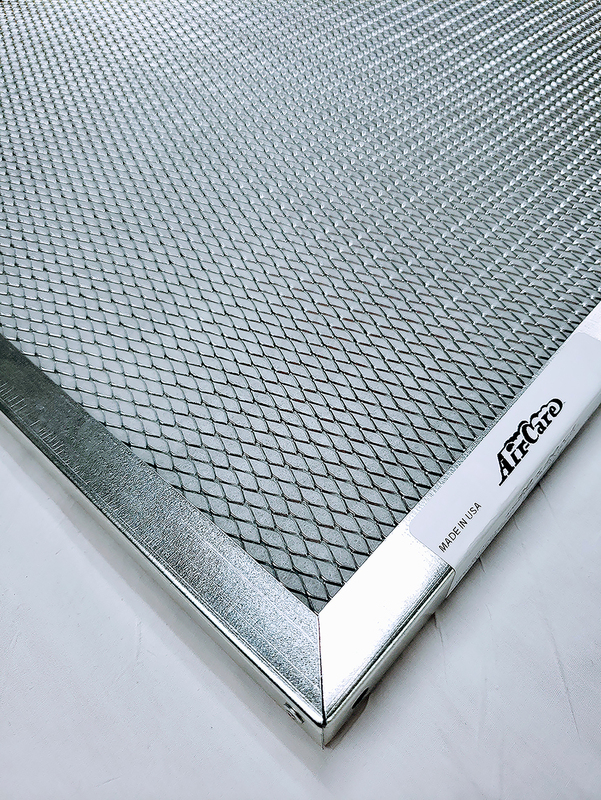 See the chart below for details on filter frame types and arrestance. 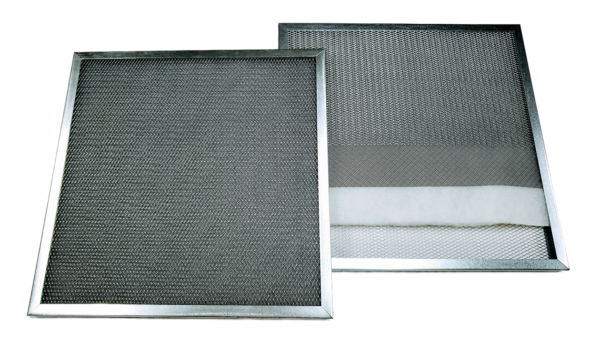 Our Silver Frame filters are made from a single piece of roll-formed galvanized steel fastened together at one corner with a single rivet. This frame type is more cost-effective than the gold frame, but is not quite as strong and sturdy. 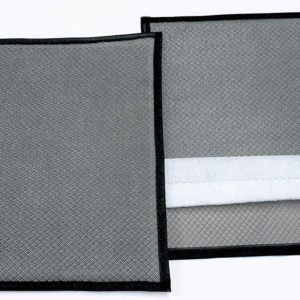 Silver Frame filters are available in either 1/2″, 1″ or 2″ depths. 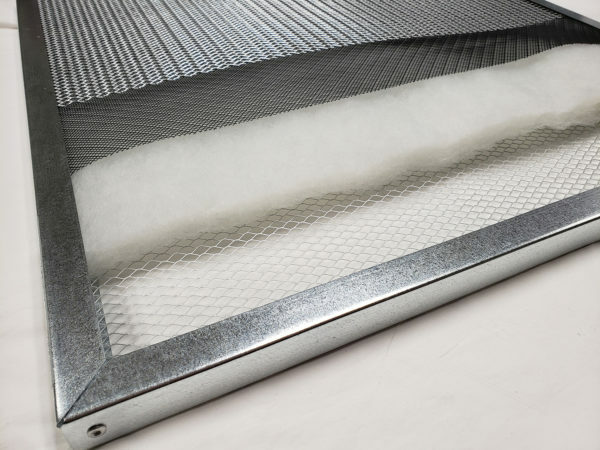 The 1/2″ (7/16″ Actual) silver rigid framed filters have 2 layers of polypropylene between 2 layers of expanded steel for improved air flow and rigidity. Our 2″ rigid framed filters are configured with the same construction as the 1″ Electra silver, but with a 1.5″ white polyester ultra high loft impingement filtering center layer. 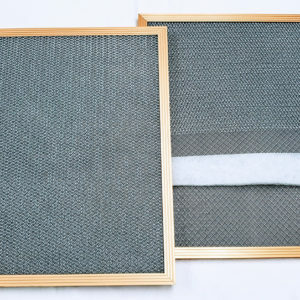 Our Gold Frame Filter has a premium quality extruded aluminum, gold anodized frame with a durable and attractive finish. 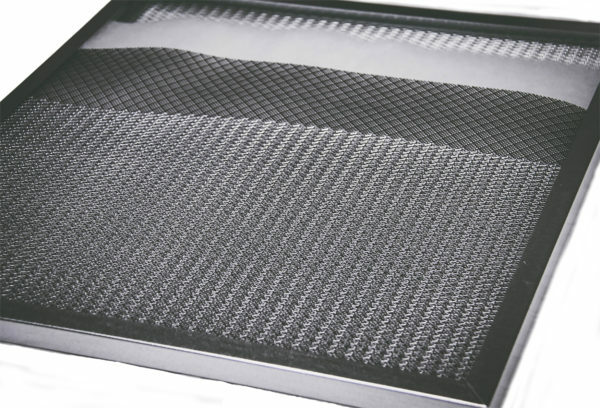 See the chart below for details on filter frame types and filtering efficiency. Flexible frames are available for applications where a rigid frame cannot be used because the filter must be bent in order to install. 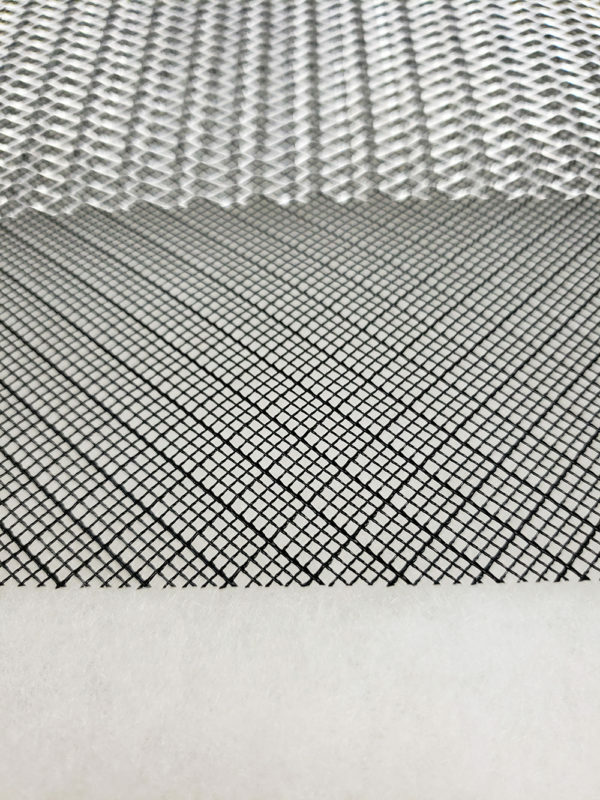 Flexible frame filters have a 3/8″ polyester layer and an expanded metal stiffener applied between 2 layers of polypropylene and a polypropylene webbing frame which is sewn around the edge. These 3/8″ thick filters fit most 1″ applications.